TimeTec is introducing TimeTec Patrol, a solution to monitor guards on duty effectively using the BYOD concept and an amazing TimeTec Patrol app. For the uninitiated, guarding large premises require guards on duty to be touring at different times, different shifts and at odd hours. Keeping the whereabouts of the guards at all times is not an easy feat, and TimeTec Patrol will be introduced to present security guard companies with alternative for their problems. 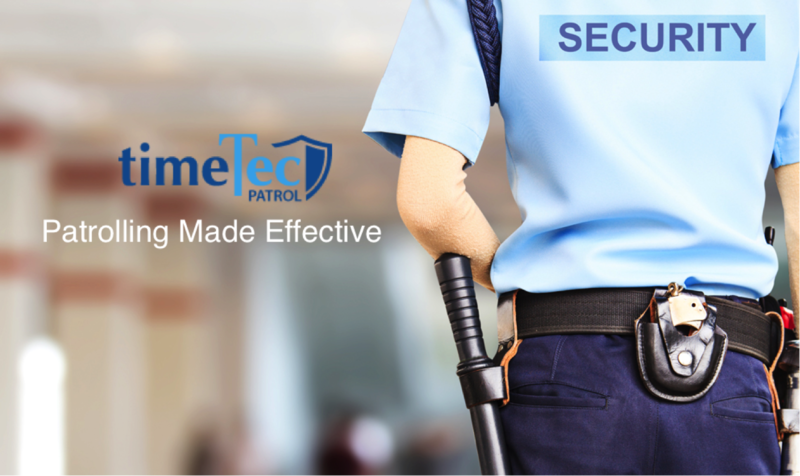 TimeTec Patrol presents a tool for your company to schedulize all your guards effectively, presenting your client with a bigger picture of security control that your company has in store for them. Knowing the bigger picture will avoid overlapping and wastage of resources. With TimeTec Patrol, the supervisor can set all the schedules online and the guards can view them straight from the smartphones. There will be no case of forgetting the rounds or taking too long to complete any rounds because TimeTec Patrol is equipped with a mechanism to alert the guards of his duty. The seamless operation of TimeTec Patrol will make it an appealing tool for the guard business. During patrol rounds, guards are bound to encounter with light cases such as doors are not closed properly, gates unlocked, noise disturbances, car headlights not off, or more serious incidents like bumped into a fight, witnessing crimes etc. With the manual patrolling system, guards will report these incidents only when they have finished their tour, leaving a lot of details to his imagination and memory. TimeTec Patrol provides guards a tool to report incidents instantly through his smartphones and he can attach photos and videos to support the report. By sending the report in real-time, nothing is lost in translations and the time stamp and photos provide the actual account of incidents. TimeTec Patrol also is designed to provide the reports of the patrol rounds for the clients to gauge the effectiveness of the security system for the premise. TimeTec Patrol modernizes patrol duty and giving the guards the tool they need to do their duties effectively. Watch out for the launch announcement of TimeTec Patrol soon. In the meantime go to www.timetecpatrol.com to register an account and be one of the first to be notified when the product is ready to take off.